Hostelling International Northern Ireland (HINI) and An Óige – The Irish Youth Hostel Association were delighted to deliver an innovative Good Neighbour cross border partnership project based at the Bushmills Youth Hostel, Co Antrim last week. 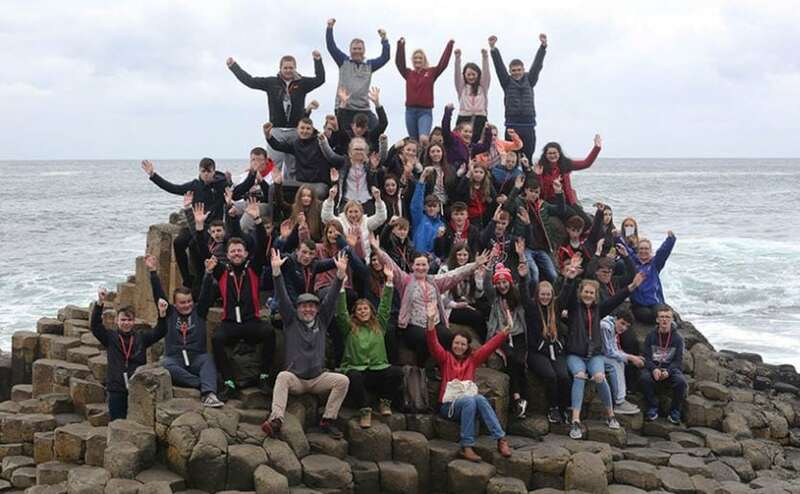 Young people from North Coast Integrated College in Coleraine and Gairmscoil Chú Uladh in Donegal came together for an adventure learning and cross cultural residential. A second residential will take place at Errigal Youth Hostel, Co Donegal next month. Both HINI and An Óige are National Association members of the worldwide Hostelling International network, which provides safe and affordable Youth Hostels at 4,000 locations around the world for young (and young at heart!) people to stay at on their travels. This Good Neighbour project is part of Hostelling International’s global “Sleep For Peace” initiative, which takes place in September every year to coincide with the UN’s International Day For Peace. Sleep For Peace aims to promote peaceful relationships between communities and across borders. If you are interested in finding out more about Youth Hostel residentials, please contact office@hini.org.uk / 028 9032 4733 for NI hostels or info@anoige.ie / 01 830 4555 for ROI hostels.